For those of you who need to buy a new toilet but don’t know anything other than how to use one, look no further. This guide, “Toilet Training For Adults”, will teach you everything you need to know about toilets - from the type of toilets that are available, to how to decide which is most suitable for you, as well as handy hints and fun facts along the way. The flush toilet became commonplace in households in the 19th century, despite being invented way back in 1596. Prior to that, toilets were ‘dry’, (there was no water) and were essentially a hole in the ground. As such, they were kept in outhouses away from the main house to prevent diseases like cholera. During the night, chamber pots were used and its contents were disposed of in the morning. Since the 19th century, there has been little change to the flush toilet other than becoming more water efficient and more contemporary in design. Fun Fact: Australia uses the wash down toilet compared to the siphonic toilet, which is common in America. The wash down toilet is much more water efficient as it only half fills the toilet pan and features the water-saving dual flush system. It is also less prone to clogging than the siphonic toilet as it utilises a larger waste pipe. Handy Hint:Whether you’re building, renovating or simply replacing your toilet, it’s important to properly measure the space you have available. Don’t forget to leave enough space for opening doors and cabinets. S-Trap is where the waste pipe goes from the toilet into the ground, and is the most common set out used in Australia. Unfortunately set outs are not universal, however the toilets at The Sink Warehouse come with adaptors to fit a wide range of set outs. P-Trap is where the waste pipe goes from the toilet and out the wall. While P-traps are much less common than S-traps, they are mostly standard in their set outs, making for easier purchase and installation. A skew pan is available for an offset waste pipe where the toilet is not situated directly in front of the pipe. These are much less common but are useful in situations with limited options. Left and right handed skew pans are determined by facing the front of the pan and seeing which side the waste pipe goes to. These toilets are quite difficult to find. If you require a skew pan but want a modern look and extra features, you might like to consider the Skew Toilet Suite, which can be set either to left or right and is supplied with all the necessary fittings. Before buying a new toilet it is crucial to measure the existing waste set out, which for an S-trap is the distance from the wall to the centre of the waste pipe, and for a P-trap is the distance from the floor to the centre of the pipe. The way you will know exactly what will and won't fit, and ultimately save yourself the hassle down the line when it comes time to install. The water inlet is the point at which water enters the cistern. This is the source of the water required to flush the toilet. Commonly the water inlet is at the bottom of the pan or cistern, and is called a ‘bottom inlet’. In this instance, the tap and pipe that feeds the water to the toilet are visible on one side of the pan. The other option is to have a ‘back inlet’, where the tap and pipe are concealed in the cistern itself, allowing a more minimalist, modern looking toilet suite (and less to clean). Handy Hint: Newer toilets will generally offer either a back or bottom inlet, however if you want a back inlet layout they will often need a special valve to convert them from a bottom to a back inlet, which will cost extra. The cistern and toilet pan are joined by a plastic connection pipe, which means that it’s set out is very customisable as this can be cut down to the correct size for the waste set out. Link toilets are generally the cheapest option and also the easiest to install. Handy Hint: Often link toilet cisterns are made from plastic and look cheap – find a link suite with a ceramic cistern for a smarter look and a longer-lasting toilet, such as the Dallas Link Toilet Suite. Close coupled toilets are so named because there is no gap between the pan and the cistern (i.e they are closely coupled together). The waste pipe goes into the ground leaving a gap between the toilet and the wall, which will require cleaning behind the toilet. Despite this, close coupled toilets are cheap, easy to install and are the most common type of toilet available. Handy Hint: Consider a close coupled toilet if you have a smaller budget to work with. This streamlined, compact design has made it arguably the most popular style toilet on the market. The back to wall layout means that there is no dust-collecting gap between the toilet and the wall, making it look smart and modern. Due to its popularity, the back to wall toilet is available in many different styles and designs to suit most modern homes. They have many different features including new flushing technologies, soft close toilet seats and antimicrobial surfaces; however back to wall toilets do come with a heftier price tag-they vary from mid-range ($500-600) to high end ($800-900). The concealed cistern toilet features a cistern which is hidden in the wall behind the toilet. The toilet pan can be mounted either on the floor or as a wall hung pan, and the internal parts of the cistern are accessed through the flush buttons on the wall. Most people will think of this as an expensive option, however in reality they cost no more than a back to wall toilet; installation is trickier however, and this is where it might cost more than a standard toilet. When purchasing a wall hung toilet, make sure the cistern has a frame – this is required to support the weight of the toilet while it is being used. Make sure that the cistern is being installed into a cavity wall (a double brick wall with a gap between them) so that there is space for the cistern. Alternatively, the cistern can be boxed in, in order to achieve the hidden cistern style. Handy Hint: Consider this for smaller bathrooms where a hidden cistern will make the bathroom feel spacious. The standard height of a toilet pan is around 400mm. Whilst the height is fine for most people, taller individuals might find that a higher set pan makes for more comfortable use. You will be using your toilet every single day, so make sure it's the right height for you. On a similar note, consider features that are favourable for older persons and people with disabilities-particularly higher seats and ones with in-built bidet features. As much as possible, try and find a toilet that will fit your existing set out - this should be achievable for most situations and will save a lot of money and hassle. All toilets sold in Australia are required to have a WELS (Water Efficiency Labelling and Standards Scheme) star-rating and display how much water is used per flush. WELS explains that “replacing a traditional single flush toilet with a water efficient dual flush toilet saves about 51 litres per person per day”. Sounds like a lot? It is. This will not only help conserve our limited water supplies, but will save you money too, especially in the long run. Most new toilet suites are supplied with soft close toilet seats to prevent the frustrating clash of the toilet seat slamming down. If this sounds good to you then make sure that your new toilet features a soft close seat. And if cleaning toilets is a nightmare for you, you'll love to know that some toilets have quick release seats where a simple button mechanism is used to remove the seat easily for cleaning. Almost all the back to wall toilet suites sold at The Sink Warehouse feature soft-close seats combined with quick-release mechanism, as well as UF resin composition, making these seats incredible durable compared to standard plastic. A great feature to look out for is nano glaze coating on the inside of the toilet bowl, which prevents the build up of grime and bacteria- making cleaning super easy! Many new toilets are beginning to incorporate all sorts of cutting edge flushing mechanisms. These are aimed at increasing the flushing power and water efficiency, as well as making cleaning easier. 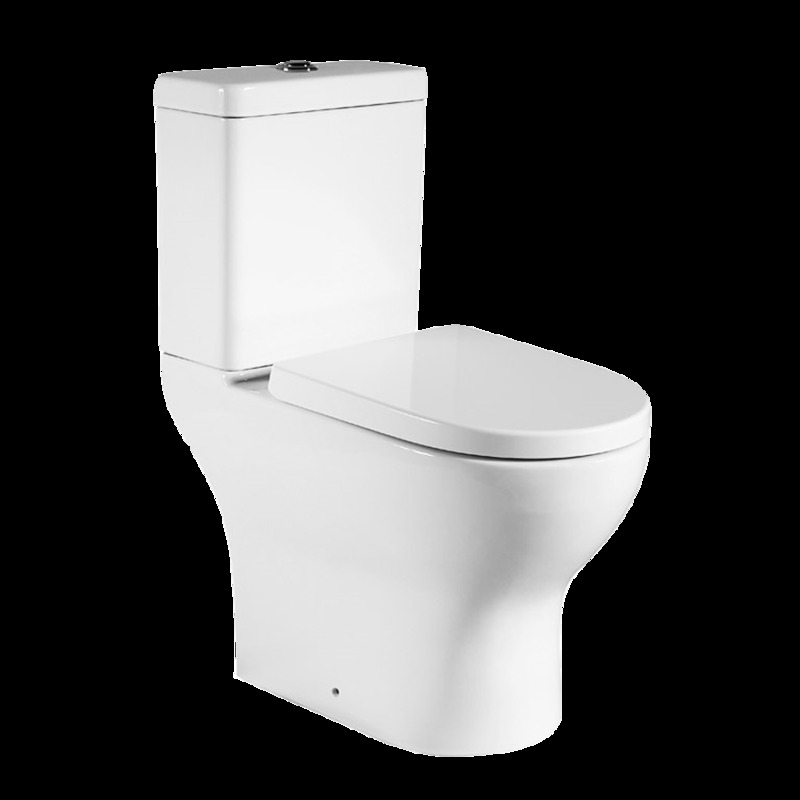 For example, 'whirlpool flush' toilets such as the Vienna Toilet Suite have many angled points of water flow into the pan to create more flushing power with less water. Another popular type is the 'rimless flush', where the water flows from two outlets and cleans the whole toilet bowl with every flush, as well as preventing splash back during flushing, making it very hygienic. This sought after technology is available in the Bern Toilet Suite. If you’re reading this, congratulations! You’ve made it through “Toilet Training For Adults”. Hopefully by now you will understand all you need to know about toilets and what you need to consider when purchasing one, so whether you’re building, renovating or replacing, choosing the right toilet will be a breeze! If you enjoyed this article or have any comments or questions please leave a comment below!